HOW CONTIGO’S NEW TUMBLER CHANGED THE WAY WE MIX FLAVORED DRINKS. 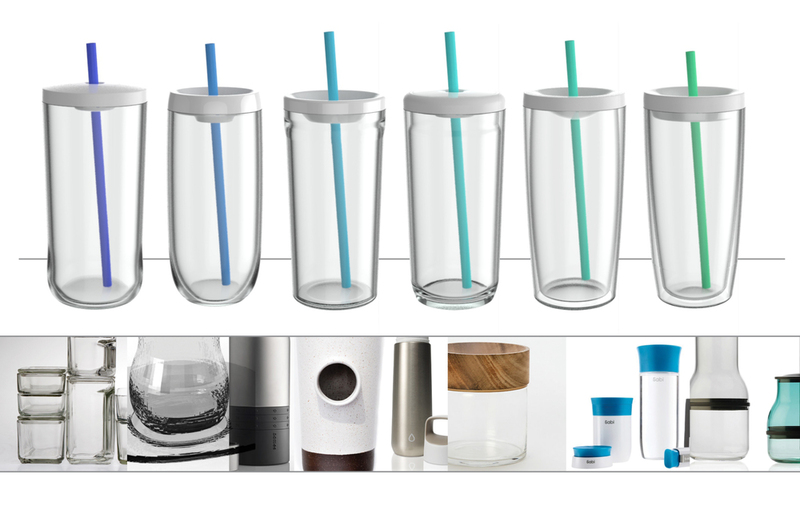 How Contigo’s new tumbler, Shake & Go™, changed the way we mix flavored drinks. Drink mixes and flavor additives were gaining popularity, and at the same time, straw tumblers were hitting a commodity point in the market. We identified this an opportunity to create a high-value, innovative product. As the lead designer on the ID team, my role would be to bring a fresh aesthetic to an existing architecture, and dig into the trend of drink mixers to identify opportunities for innovation. 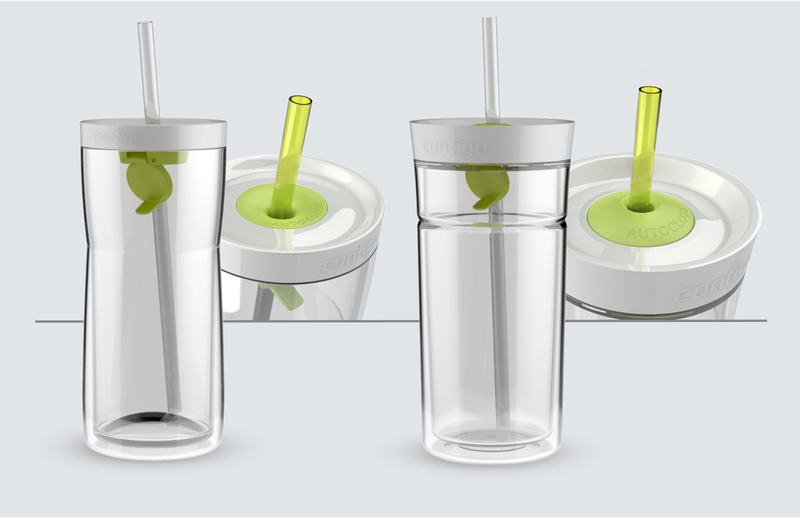 At the core of the Contigo brand lies the integration of highly functional objects combined with elegant aesthetics. The Alchemy in combining these elements not only gives Contigo its continued success but its where I get passionate about design. Observing the use of typical products in the market we uncovered some use case scenarios and pain points that would lead to deep insights. Our observations showed that users did not have a good way of sealing the tumbler when mixing their drink, so instead simply plugged the straw hole with their finger. We could see this was a problem begging for a solution. Ideation and brainstorms lead us to the answer: a design that not only seals the tumbler but doesn't force the user to relearn a behavior. To set our tumbler apart from the sea of commodity products, we studied high quality glassware products. This led us to choose a new proportion and profile more related to high-end barware than plastic tumblers. To further enhance aesthetics, we designed our product to be subtly thicker near the base, to instill a “quality glassware” feel not found in the tumbler market at the time. 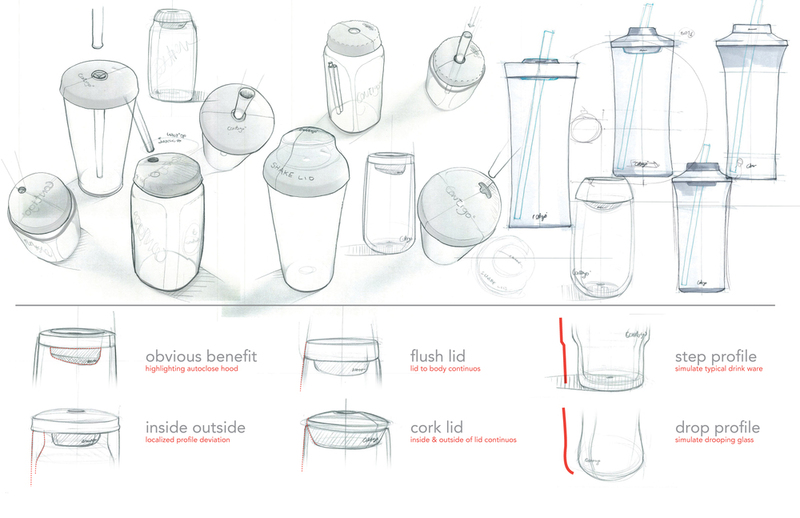 The result was a completely new lid platform for Contigo, and a product line unique to retailer straw medallions, with three body styles. Shake & Go™ gained significant shelf space at the expense of competitors at all major retailers, and was made a full Costco program. Still in its early years in retail, Shake & Go™ continues to gain sales momentum.